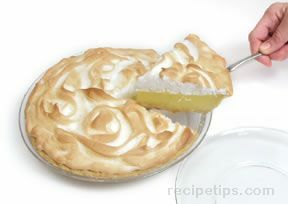 Use this meringue in cream- or custard-filled pie recipes calling for a meringue topping. 1. Beat egg whites in medium bowl with electric mixer on high speed until foamy. Mix sugar and cream of tartar. Gradually add sugar mixture and vanilla to egg whites, beating until stiff peaks form. 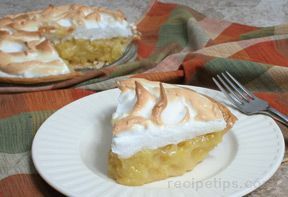 Spread meringue over cream- or custard-filled pie, sealing to edges of crust.